When a pleasurable event occurs, the brain naturally produces a large quantity of dopamine. 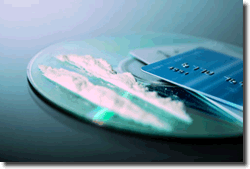 However, when someone uses drugs like cocaine, the process that makes this happen is thrown off course and blocked. The buildup of dopamine that occurs between the synapses in the brain when cocaine is abused causes the neurons in the brain to be continually stimulated. 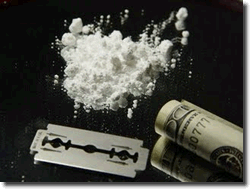 This is most likely what causes the euphoric state that cocaine addicts find so pleasurable. This euphoric state and the constant bombardment of the brain tissue with dopamine is one reason why people find cocaine addictive physically and psychologically. 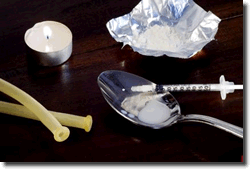 When cocaine and alcohol are used together, another dangerous physical situation occurs. According to National Institute on Drug Abuse research: the liver combines cocaine and alcohol, producing a new substance, cocaethylene, which intensifies the high, but at the same time increases the risk of sudden death. When people mix crack and alcohol, they are compounding the danger of crack cocaine effects and the other drug they have ingested. Often, this unknowingly forms a complex chemical within their bodies. Researchers have found that the human liver combines crack cocaine and alcohol to manufacture a third substance, cocaethylene. 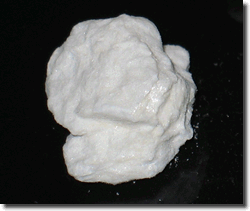 This substance intensifies the user’s euphoric crack cocaine effects, while increasing their risk of sudden death. 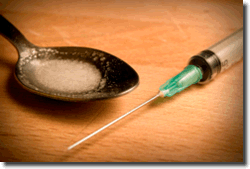 When the drug is smoked (in a form known as "crack") or injected, the intensity of the euphoric effects are much stronger; however, the "high" is of shorter duration. 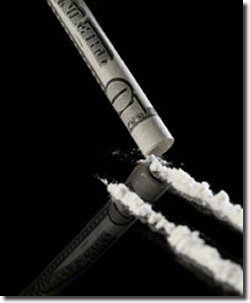 The resulting "crash" creates a sense of urgency to consume more cocaine. Addicts call this roller coaster effect "chasing the high." Although the user feels a strong compulsion to use again and again (in order to experience the same pleasurable feelings), achieving the same level of euphoria requires using a greater amount of cocaine. 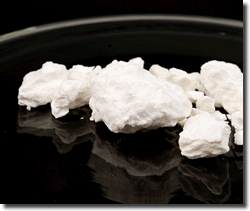 While many people experiment with cocaine, not as many make cocaine abuse a regular habit. However, for many of those caught in the vicious cycle of cocaine abuse, help is not offered soon enough. Before long finances are in ruin, relationships hang by a limb, and physical health is on the edge. At this point, there may not seem to be any hope left as the cocaine abuse problem still rages on. While the individual is in cocaine abuse treatment they learn many valuable lessons about drug abuse, recovery, and relapse. This is also a time where they can address mistaken beliefs about their self, others, and their environment. Cocaine abuse treatment helps the individual make lifestyle changes, manage their feelings, develop coping tools, and learn drug refusal skills. They also learn to identify relapse warning signs and thoughts that may lead them to relapse in the future. 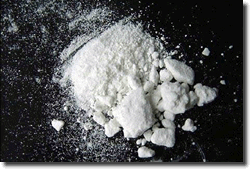 With continued use, cocaine facts report that many cocaine addicts develop a higher tolerance for the drug over time. Addicts are also said to "chase the high"; meaning they continue to use cocaine seeking the feeling they felt the first time they used it. For people addicted to cocaine and cocaine effects, this high will never again be felt in the same way, and this addiction can lead to insanity and death. With the accumulating medical evidence of numerous harmful cocaine side effects the public and government have become alarmed again about its growing use and abuse. Even though the public is often regaled with highly publicized accounts of deaths from cocaine, many still mistakenly believe the drug, especially when sniffed, to be non-addictive and not as harmful as other illicit drugs.